A Kiss At Midnight is the first book in the Fairy Tale series that this amazing author has created for us. Now I have read most of the books in the series and have adored each and every one of them. I do have a weakness for the fairy tale theme, especially in the regency genre. For some reason, I had yet to have the opportunity to read this one. My favorite of the series was The Ugly Duckling, but I think this matches pretty close to it, as far as my enjoyment of the story goes. I was able to get this book for $5 on Audible on a daily deal they were having. Not too bad of a price for a audiobook.I found that I really liked the narrator and her accent used for this book was done very well. 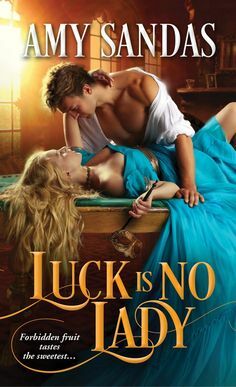 Although for some reason when I started reading this one, it didn’t seem like a Regency style romance, it seemed to be from a earlier time period. I might just be crazy, but that was the impression I gained while listening to this one. Another plus to this book is that it has a “royalty” theme to it as well. This story goes along the basis of “Cinderella” and with a godmother, who is witty and charming and contagious. Where can I find one of those? She definitely knows how to meddle at all the right times and places. The stepsister in the book is sweet however the stepmother is pretty awful. I found that the author matched this story with the story of Cinderella pretty well, but it definitely has the sort of theme that is very different than you would think. I loved seeing her creativeness in her writing turn this story into a marvelous romance that captured me from the first moment. The story begins like you would expect in a Cinderella based romance. Kate’s father has died, and her stepmother has turned her into a servant and she is barely keeping the estate together. Her stepsister is going to be married, but her sister suffers from a physical issue, so she is forced to go in her place and dress and act like her sister with four little runts of dogs with her at all times. 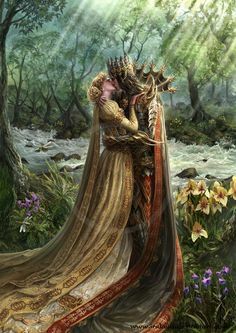 Then she meets the prince with whom she instantly dislikes. The prince in the beginning is very arrogant and conceited at times. He is a prince after all. We see two characters that in the beginning are in different phases, but as they start to really connect and passion flares between them; we start to see that they have a tender and sweet intimacy that the reader aches to have as well. They both come from very different past and circumstances, but I found that this story is based on the theme of Choosing what really matters, and everything else will fall into place. A Kiss At Midnight is a truly wonderful romance that spins out a romance of delicious flavors, spicy scents and savory delights. A truly heart warming tale of glass slippers, princes, four mice.